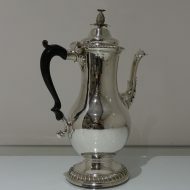 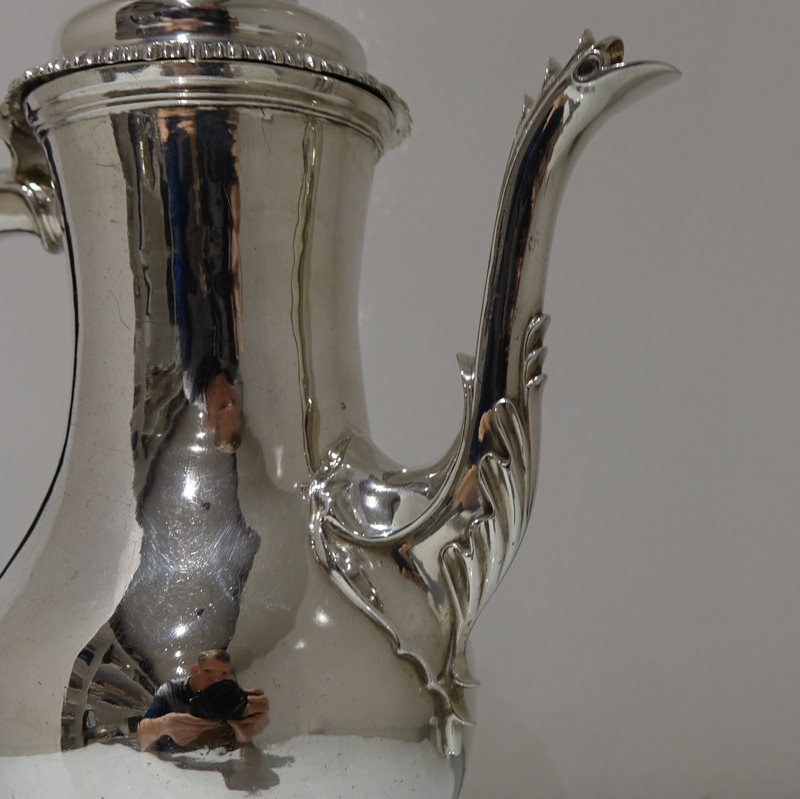 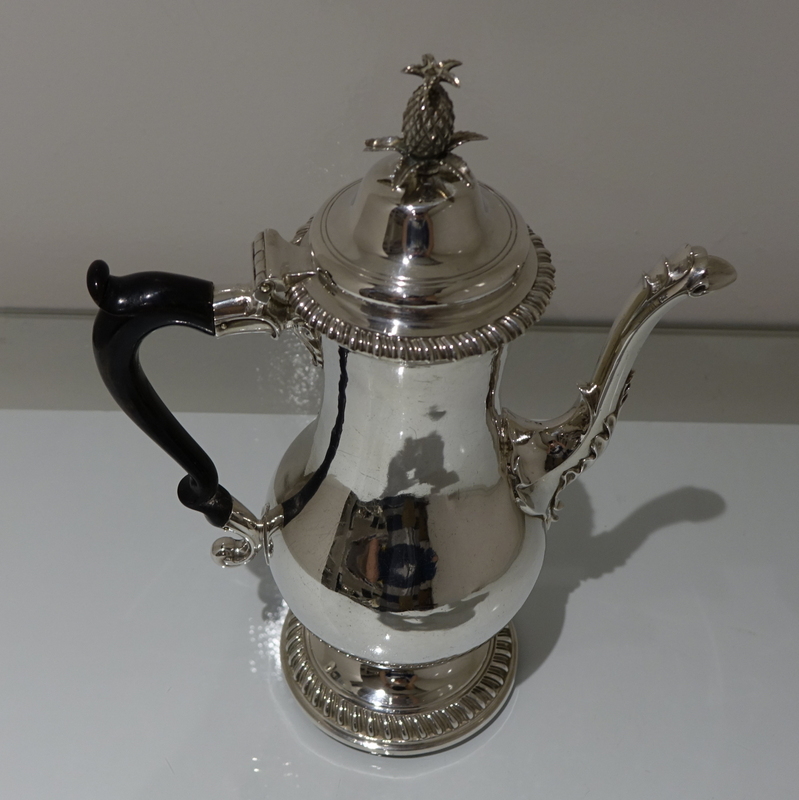 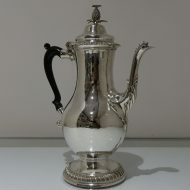 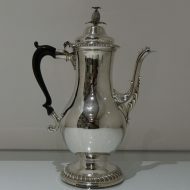 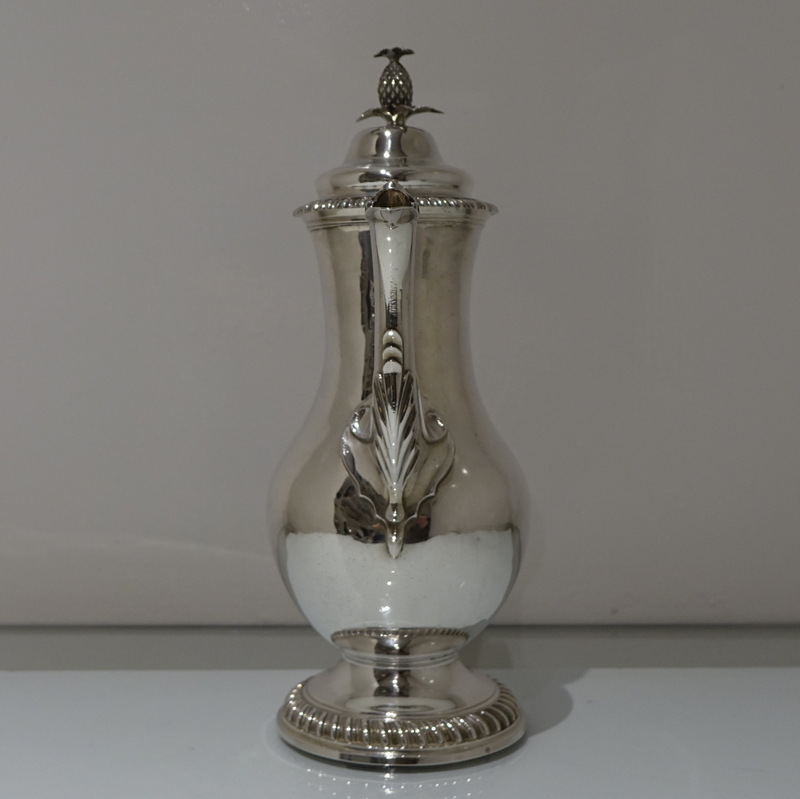 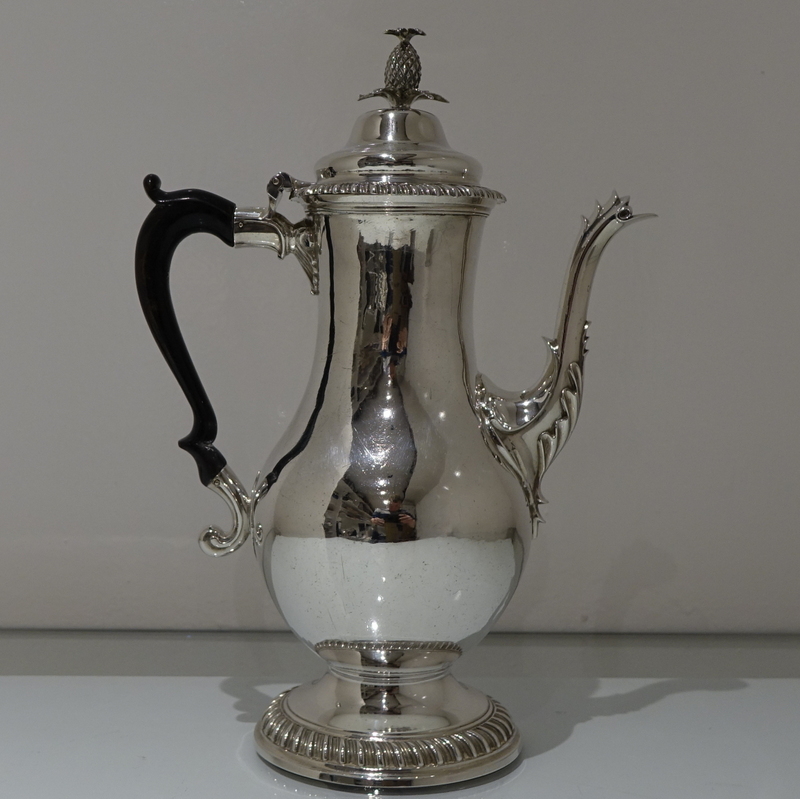 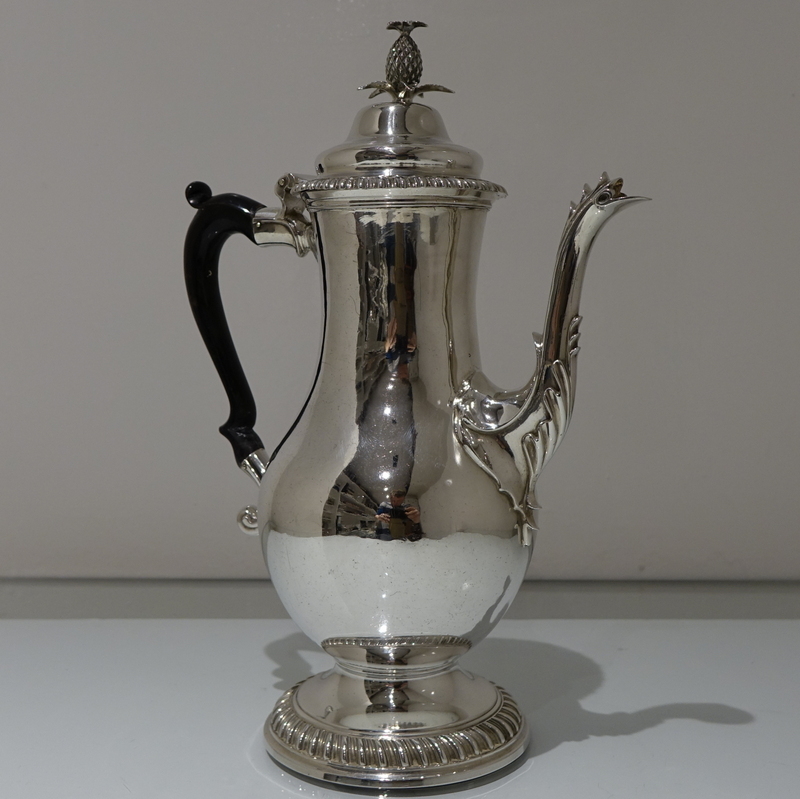 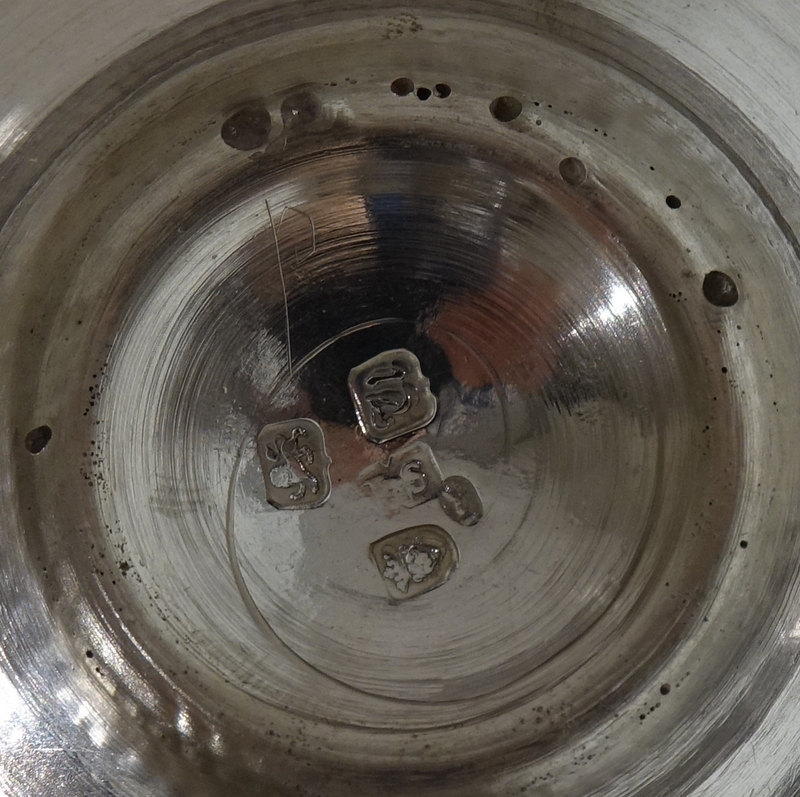 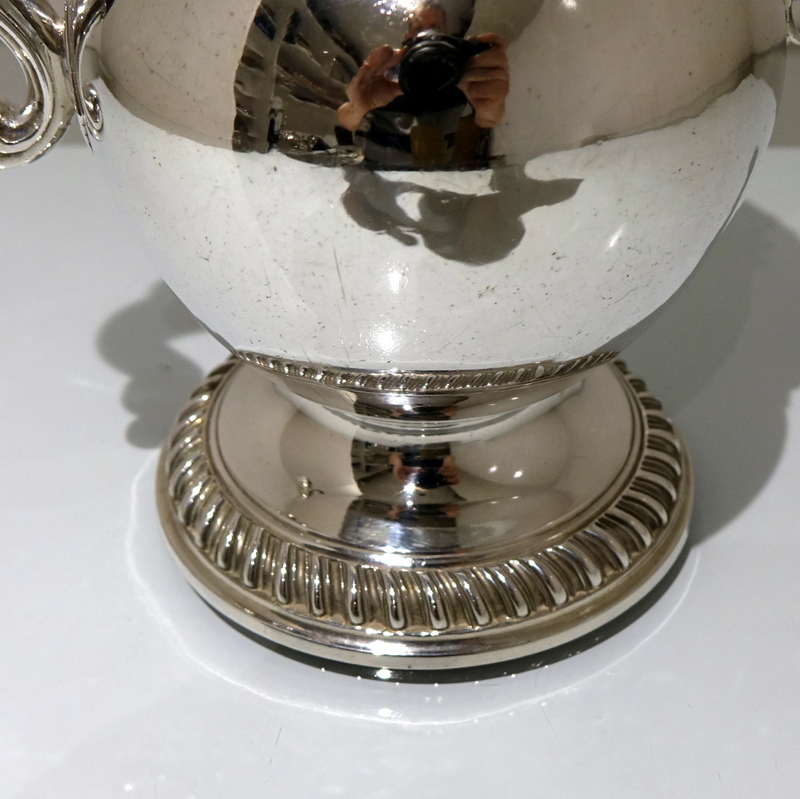 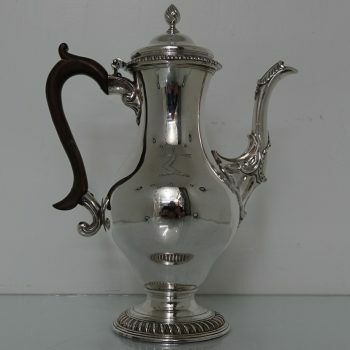 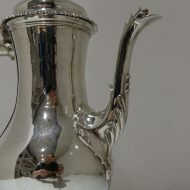 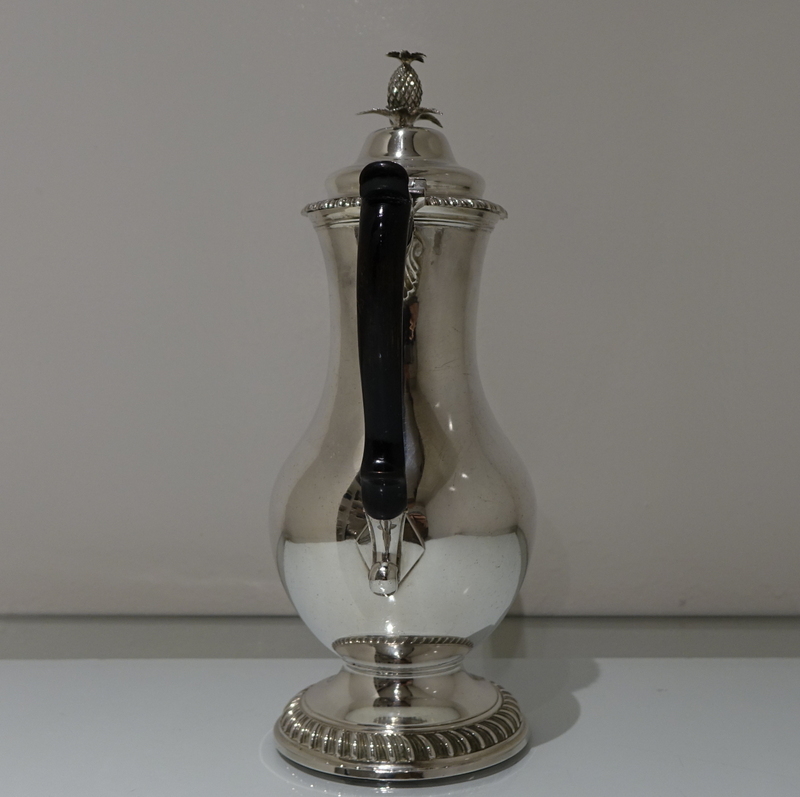 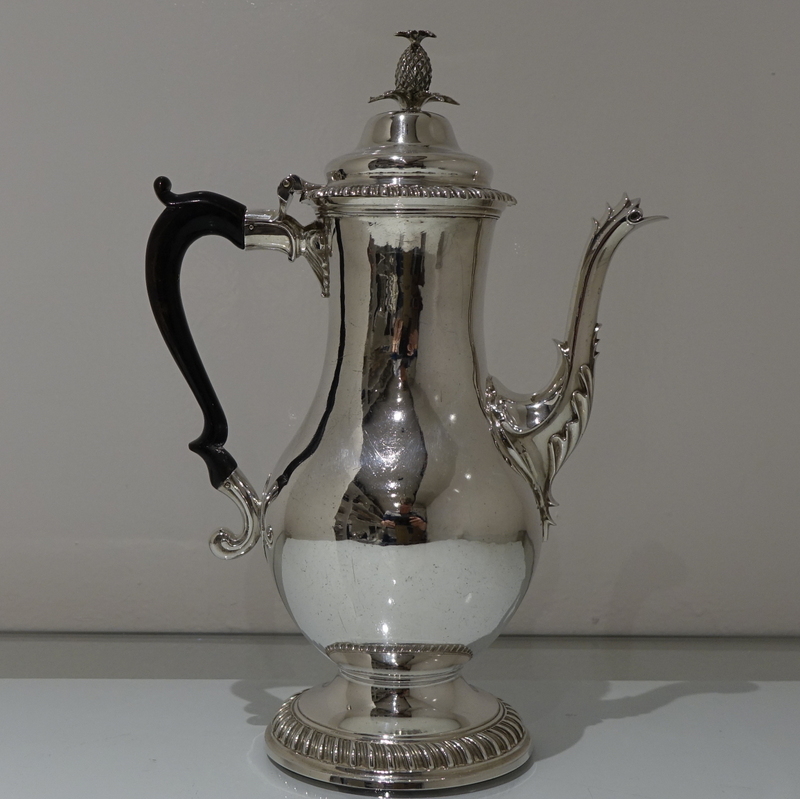 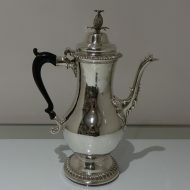 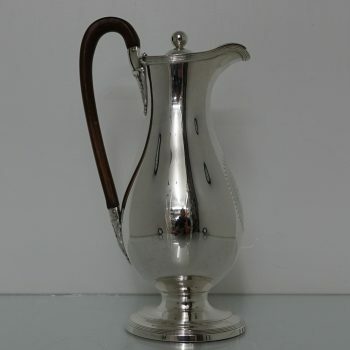 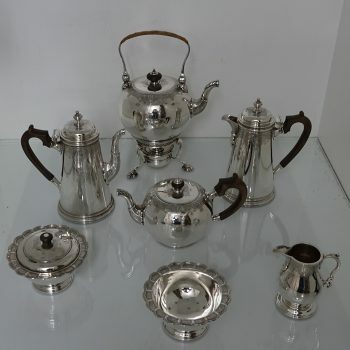 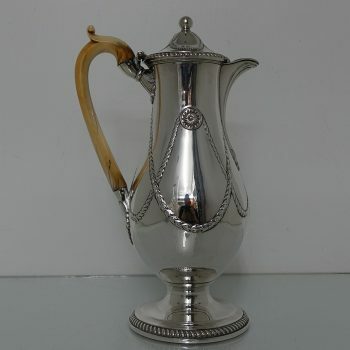 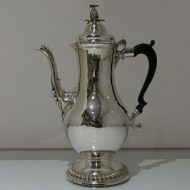 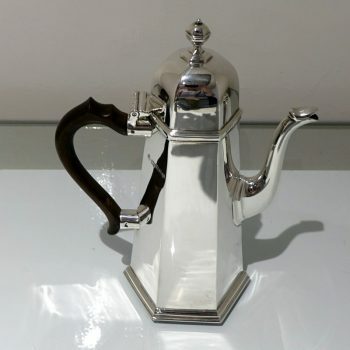 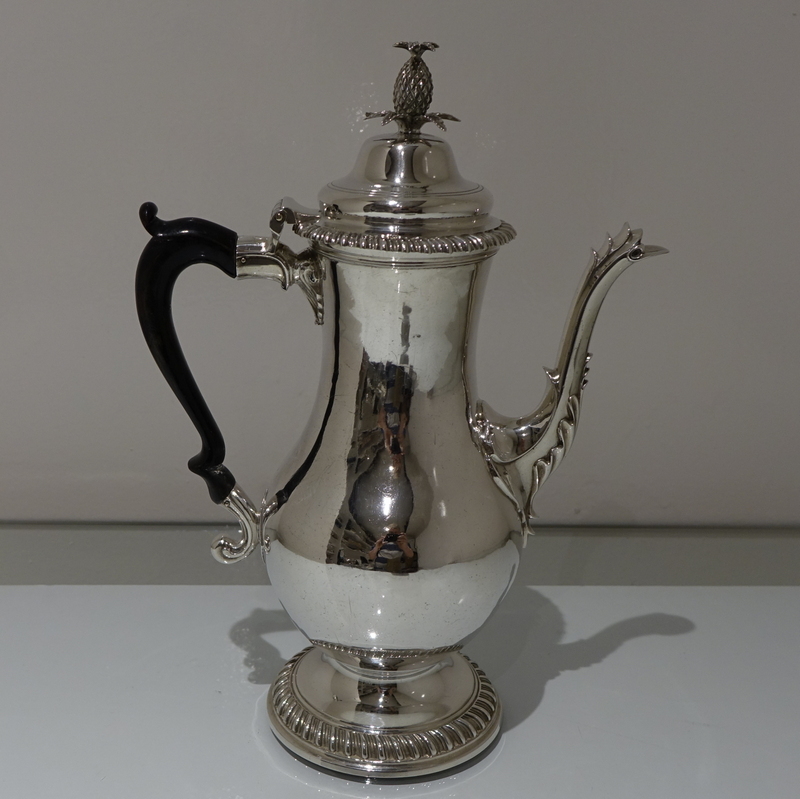 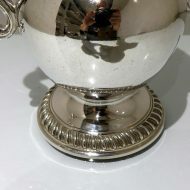 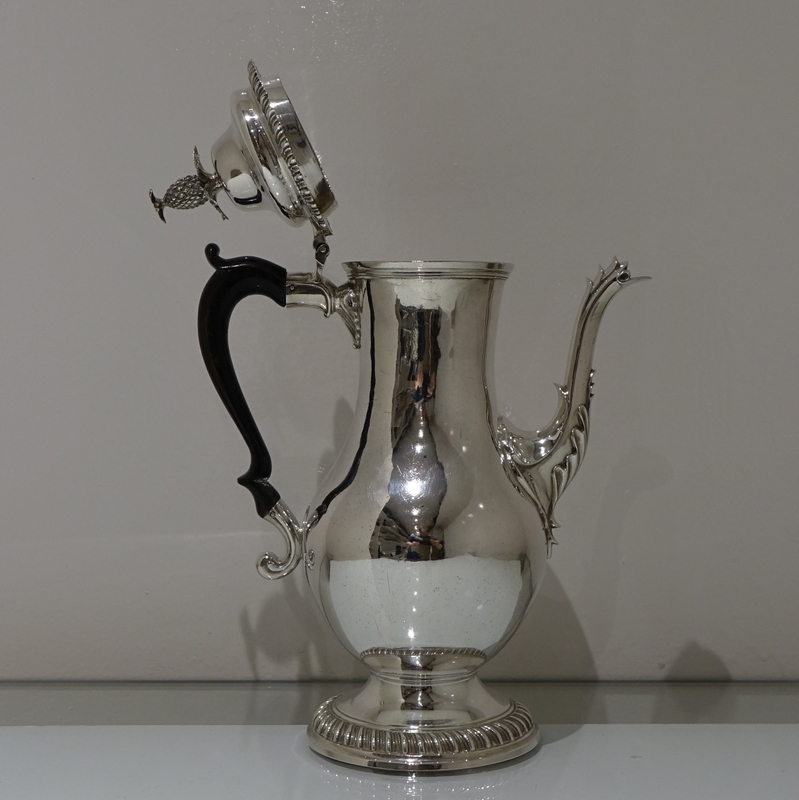 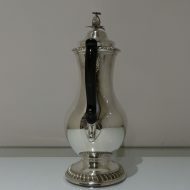 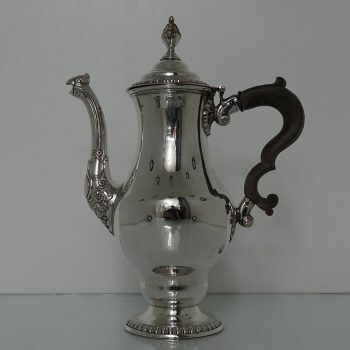 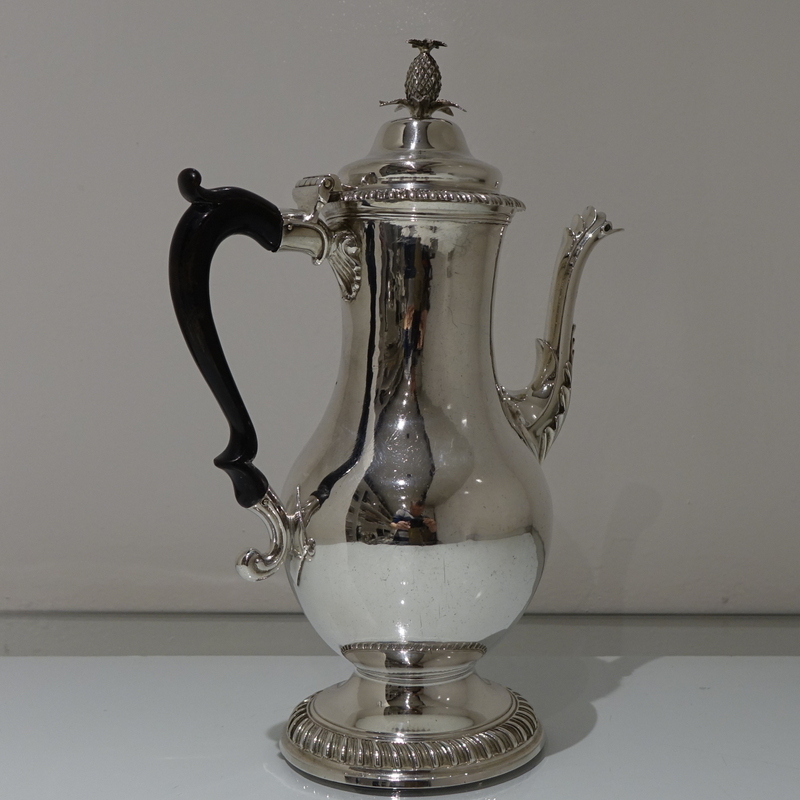 Georgian silver pear shape coffee pot. 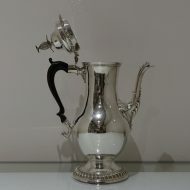 A splendid 18th century plain formed pear shaped coffee pot elegantly decorated with upper and lower gadroon borders. 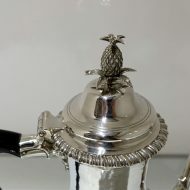 The lid is hinged and is crowned with a stunning pineapple finial.